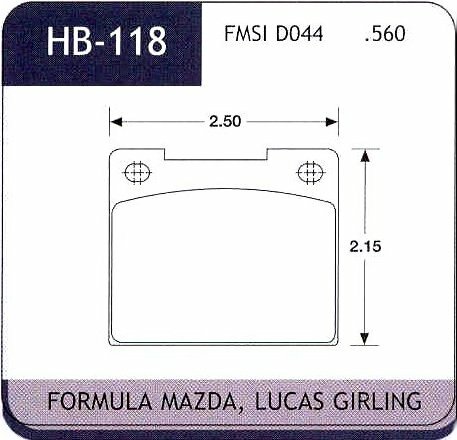 Hawk HB118 Ferro Carbon High Performance Street Brake Pads Alcon 0.560"
Hawk HB118 Ferro Carbon High Performance Street Brake Pads Alcon RType Calipers - 0.560" Thick. HPS Compound This versatile compound has proven to be the ultimate dual purpose street and strip material available on the market today. Recommended for amateur to intermediate forms of drag racing. Can also be used in most light duty Dirt applications where low temperature cold effectiveness is required. An excellent street pad.